Truth: we all love food. And our desire for healthy, fresh food has grown thanks to the mix of Trader Joe’s and Whole Foods giving us everything from blue agave to blue majik. While we love the ease of one-click groceries from Instacart, H-E-B curbside pick-up, and Amazon Prime, there’s something rewarding, comforting, and nostalgic about being able to see the actual quality of goods you’re getting before they’re in your cart (virtual or physical). That’s where Michael Powell and Dustin Windham come in. The Houstonians created a new grocery shopping experience with the ease of farmers market-esque, right-in-your-neighborhood food essentials — but this concept has wheels. 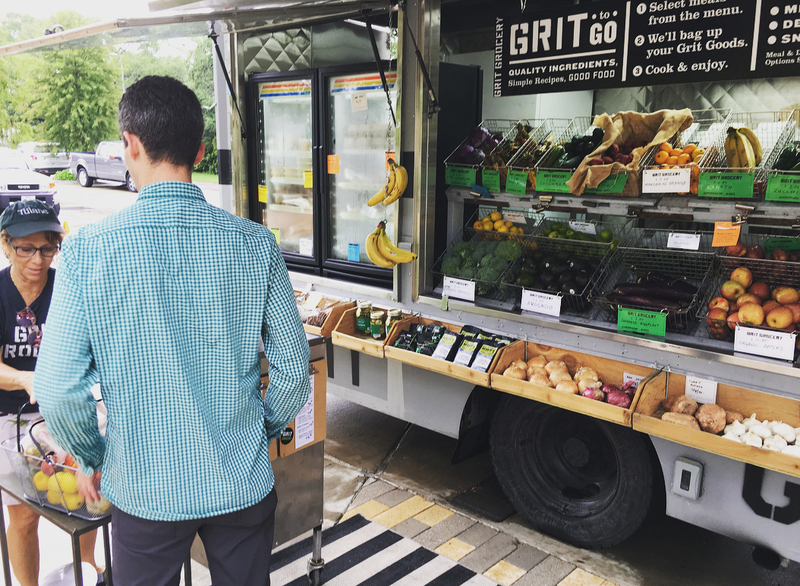 Grit Grocery is Houston’s first mobile grocery store. 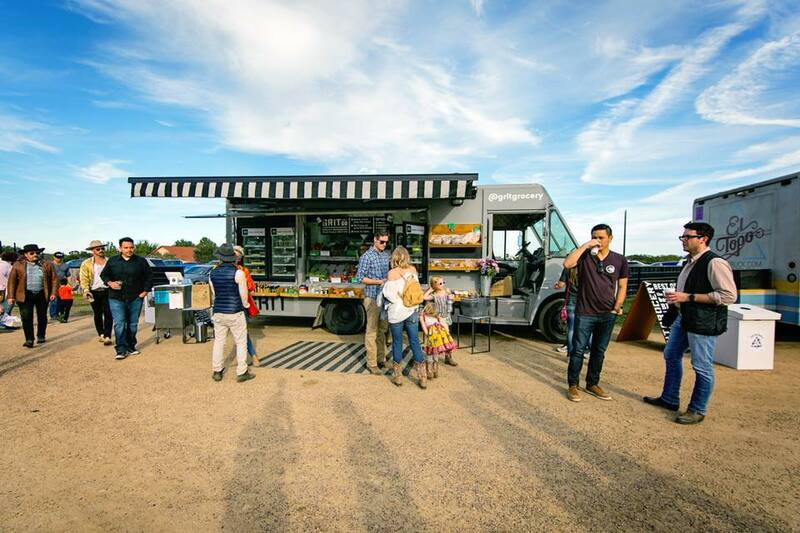 Complete with a white-and-black striped awning, the market truck beckons shoppers with metal baskets and shelves stocked with an array of fresh produce, bakery items, dry goods, and more. The open-air concept grew from Windham’s time living overseas, where he and his wife saw people frequently shopping for fresh food in small shops with easier access. 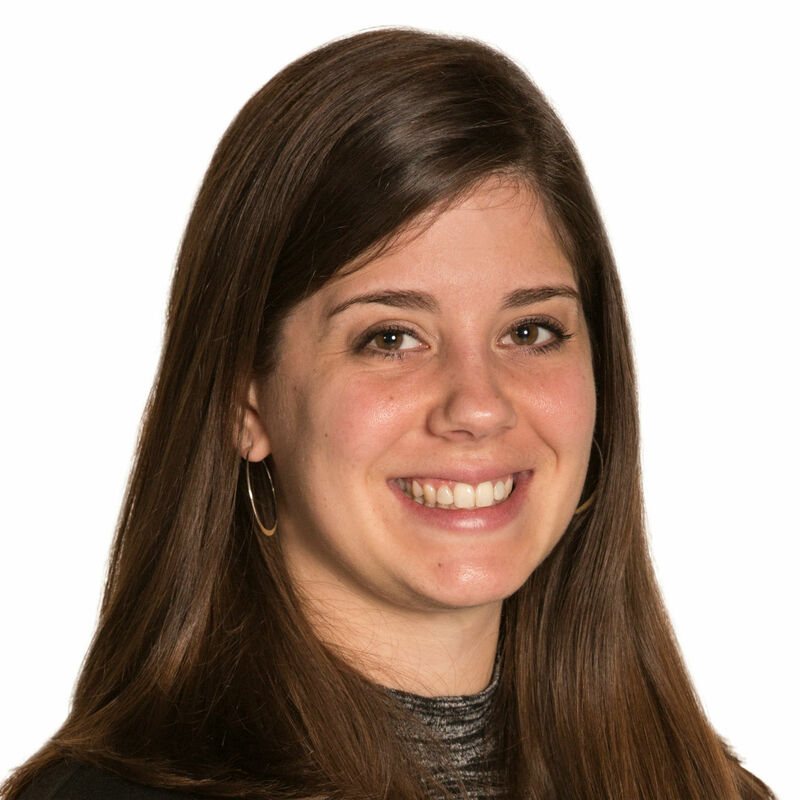 Maybe you like thumbing through pages of inventory on the web, but Grit Grocery believes you’d actually like the experience of grocery shopping if it were a more social, one-on-one, neighborhood experience. With locally farmed and sourced produce, gourmet cheeses, meat, seafood, and specialty items like Texas-made olive oil, Grit will keep you eating healthy and away from those processed weaknesses you find while wandering at a big-box joint. Plus, Grit fits right in with our generation of sustainability. Just think: no icebox-like warehouse to walk, no parking lot to circle. Being able to literally shop curbside for the right food right in your neighborhood isn’t all that the boutique grocer has to offer. Grit also has a nod to meal-delivery services or H-E-B’s Meal Simples with its own Grit Grocery Meal Bundles. Each Bundle includes local raw ingredients that create simple, healthy meals for you and your favorite fit feaster. Go with a Texas staple like chips & guac or level-up with a ravioli and cucumber salad. True to their community commitment—fresh foods and produce for all—dietary substitutions are always welcome and the menu is ever-changing. Mondays and Wednesdays, they’ll be in EaDo. Tuesdays and Thursdays, they’ll be downtown. And Sundays, they’ll be in Levy Park in Upper Kirby. Track the truck online or on Instagram to find out where you can come ’n’ grit some.